Sediment and Crystallization: Flaws, Fashion…or Something Else? Learning Center / Latest Articles / Winemaking Tips / Sediment and Crystallization: Flaws, Fashion…or Something Else? Wine – it’s a magical, wonderful drink. The essence of the land, some might say, preserved in a set of endlessly variant liquids, which range from the palest green to the deepest, inkiest purple. Wine has been drunk for a very, very long time – indeed, it’s been one of the few constant and continuing products in circulation since the very dawn of human civilization – but the wine we drink today doesn’t bear a huge amount of resemblance to its ancient forebears. It wasn’t so long ago that all wines were ‘organic’; not in the trendy, fashionista-baiting way of today, but in the sense that there were no pesticides and fungicides, no large-scale agricultural practices, and none of the lengthy and complicated fining processes most wine today goes through. Despite the fact that the vast majority wines nowadays go through all sorts of stages of refinement, they are still essentially ‘natural’ products, made of grape juice and (one hopes) very little else. As such, before our wines are bottled and finished off, sifted, filtered and strained, they tend to contain a fair amount of bits. If you’ve ever made your own fruit juice at home, and compared the pithy, lumpy liquid to the silky-smooth supermarket version, you’ll know what I’m talking about. Pieces of pulp, traces of skin and seeds are unavoidable when you’re crushing fruit, after all. How you feel about the presence of lumps in your wine depends partly on your own personal preferences, and also partly on your interest in staying on top of wine trends. Interestingly, the past few years has seen the number of ‘natural’ wineries rocket, each boasting their organic and biodynamic credentials and wearing their hefty quantities of sediment as a badge of honor and a mark of quality. However, despite this, the majority of everyday wine drinkers prefer their bottles free from murky bits of unknown stuff gathering at the bottom. As such, most wineries continue – and probably will continue in the future – to go to great lengths to get rid of the bits and pieces that could potentially put customers off. Twenty-first century food and drink is in an interesting place at the moment. It’s obsessed with the idea of ‘authenticity’ and artisanship. Our coffee needs to be hand roasted, our tote bags woven from the finest recycled hemp, our bread pounded and charred by burly men in ironic beards. Wine has headed down the same path… but it would be too easy to simply dismiss this as a negative fad. Look back ten to fifteen years, and the wine world was still dominated by snobs and pretentiousness. Perhaps this roughness and obsession with things being unfiltered and ‘natural’ is the antidote, even if it means you might start seeing more sediment in your bottles. Anyway, what is sediment? And is sediment even something to worry about it, or avoid? What is that at the Bottom of my Bottle? One of the things which many people forget about red and white wines, is that the difference between them is not the color of the grapes they’re made from, but the simple fact that white wine is made from grape juice, whereas red wine is made from whole grapes. Those lovely tannins, which give the wine its structure and body, come from the stems, seeds and skins of the fruit, and the winemaking process used for red wines involves the pulverization of all those parts of the plant. Sadly, this is no longer done by the stamping feet of fair maidens, but rather by machine. Nonetheless, the purpose is the same – by crushing all these things together, the fermentation gets a kick start, and the wine begins to take on the layers of complexity, acid, tannin and fruit juice it needs to do its thing. Now, most of those aforementioned skins, seeds and crushed stems and other bits and pieces don’t find their way into your bottle, but it’s unavoidable that some traces of them will end up in the wine. The thing is, when you take a look at your bottle, you probably won’t be able to see them. They are suspended in the liquid, and not visible as they will be far too small to detect. However, give your wine a bit of time and a quiet place to sit and settle, and eventually, all those pieces of stem, seed and skin will gather together, and slowly sink to the bottom. Next time you visit a good cellar, take a look at the base of a well aged bottle of wine – you’ll probably be able to see a decent amount of sediment around the bottom. Organic, biodynamic and natural wines also, as mentioned, generally have plenty of sediment, too, due to the fact that these are usually unrefined before bottling (the belief is that this allows them to be more ‘expressive’). What happens if you accidentally drink a bit of sediment? Absolutely nothing – it’s totally harmless, and there is nothing in the sediment which isn’t already in your wine. The only problem is, it really doesn’t taste very nice, and it’s not exactly pleasant getting a dusty tongue when you’re trying to elegantly sip at a good red wine. The good news? 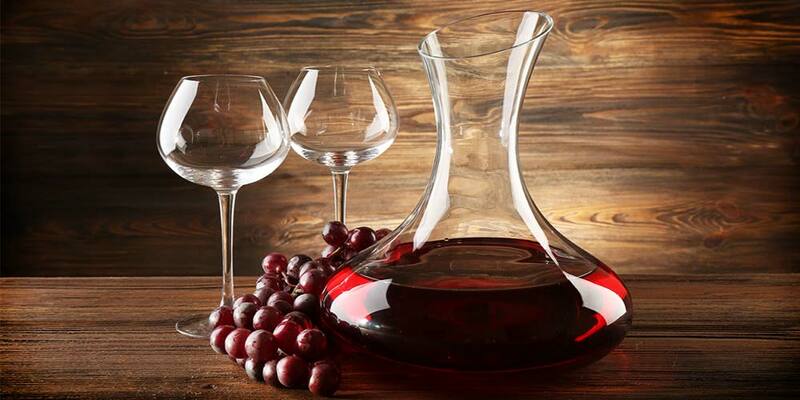 Wine with sediment gives you a perfect excuse to get your decanter out from the cabinet, as this is the easiest way to remove it when pouring. Some people recommend straining your wine through layers of cheesecloth… but let’s be honest, life is far too short for that sort of nonsense. While we are on the topic of strange things found in bottles of wine, it’s well worth also mentioning tartrate crystals. These little, strange-looking crystals are actually very common, but the sight of them on the base of a cork still brings a bit of surprise to wine drinkers, with many of them wrong assuming they are symptomatic of some flaw in the wine itself. They are also sometimes confused with sediment, which is also not correct. If you’ve ever pulled a cork, and seen what looks like tiny bits of broken glass stuck to the bottom of it, you’ve also come across tartrate crystals – again, completely harmless, but not really pleasant to have bobbing around in your glass. These crystals are formed from a process called ‘cold stabilization’ which is used in the white wine industry, and they come about as the result of excess quantities of potassium bitartrate being present in the wine (you’ll probably know this from your kitchen; it’s just another word for ‘cream of tartar). It’s a naturally occurring chemical, and just as red grapes pack in lots of tannin, white grapes sometimes contain plenty of potassium bitartrate. This chemical must be removed before bottling, otherwise white wines can tend to crystallize quite significantly when kept chilled in a fridge or wine cooler. 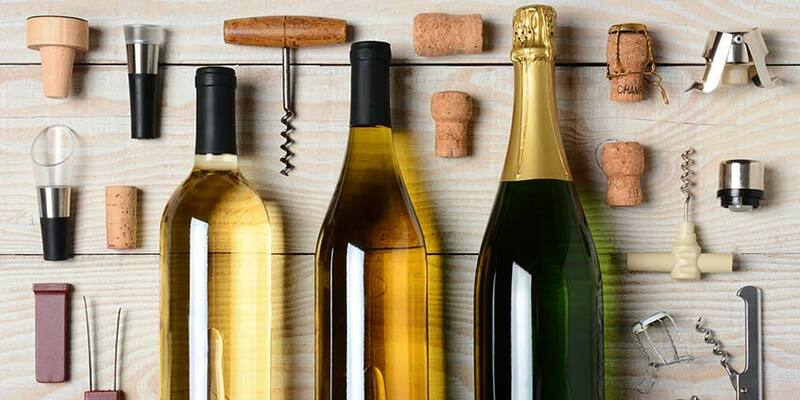 Wineries certainly want to avoid that, as customers mistake it for a serious flaw, or even sometimes believe that there really is broken glass in their bottles! So, cold stabilization involves rapidly dropping the temperature of a stainless steel tank of wine, and then maintaining that temperature (usually around 30 degrees Fahrenheit) for around three weeks. This cold spell will allow the excess potassium bitartrate to crystallize, fall to the bottom of the tank, and then be easily removed. However, just as you can’t completely remove sediment from red wines, it’s not possible to completely, 100% remove all the tartrate crystals from some white wines. Now, just as some trendy wineries don’t bother to remove sediment from their wines, other wineries also keep their tartrate crystals as a badge of honor and pride, as it suggests to the customer that there has been minimal intervention in the winemaking process. Many winemakers believe that processing their wines with temperature controlled tanks can remove touches of nuance and flavor from their wines, along with the crystals which most people want to avoid. Are they right? Are they wrong? It isn’t for me to say. I’m all for a touch of rusticity in my wine, as I am in my food… but despite knowing crystals and sediment are both completely harmless, I’m not sure I want them at the bottom of my glass.